The European passenger plug-in market scored over 22,000 registrations in February 2018, growing 39% compared to the same period last year (YoY) and pulling the year-to-date count to almost 47,000, a 35% increase over the same period in 2017. 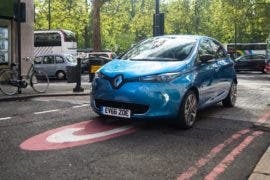 The plug-in vehicle market now holds a 1.9% market share in Europe. Unfortunately, plug-in hybrids (+54% YoY) continue to outrun fully electric vehicles (+26%), thus increasing by two percentage points their lead over fully electric cars (55% vs 45%). And yet, the top four positions in February belonged to fully electric cars, with the majority of the 2018 top 10 belonging to fully electric models at this point. Funny, huh? 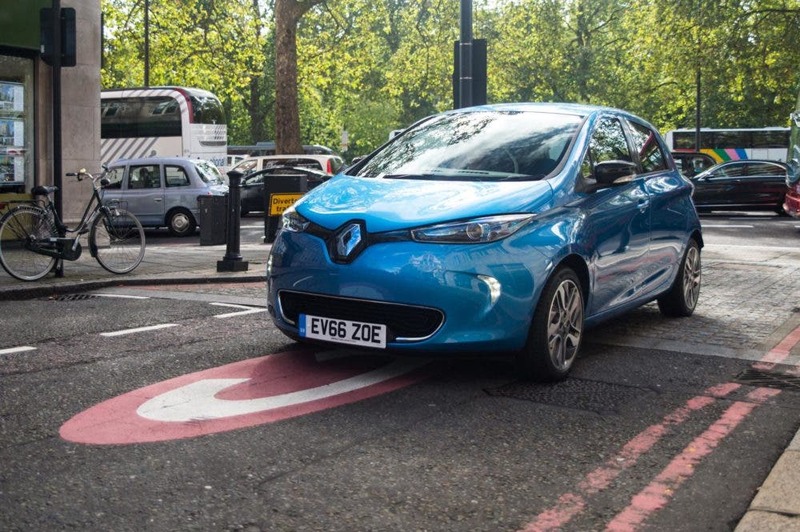 #1 Renault Zoe — This perennial leader’s 2,439 deliveries in February signaled a return to form for the French hatchback, but it’s sales were still down 12% YoY. With no known production hiccups and demand as strong as ever, this slowdown could be attributed to the fact that LG Chem doesn’t have enough batteries to provide the French automaker. As for individual market performances, its domestic market is still underperforming (1,155 deliveries, down 26% YoY), but there were positive numbers in Germany (475 deliveries), Portugal (144 deliveries, a new all-time record for a single model there), and Spain (106 deliveries). 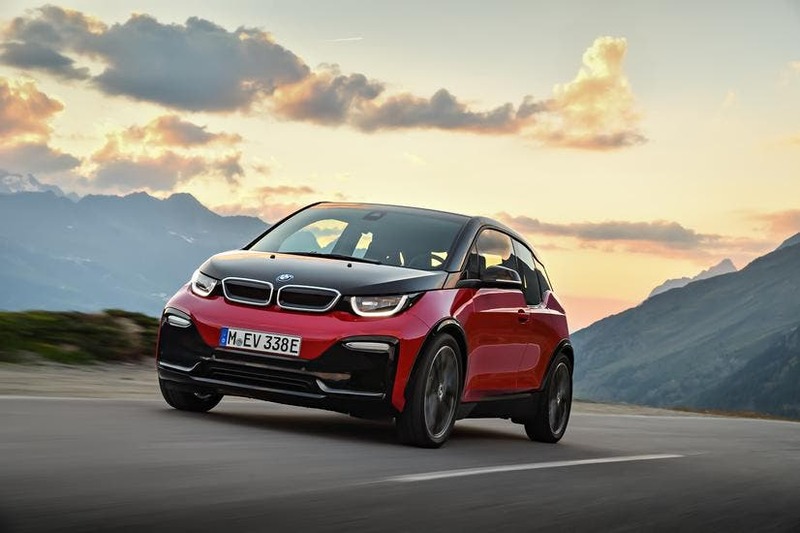 #2 BMW i3 — The German Stormtrooper’s hatchback’s sales were approximately flat (+2%) in February, with 1,598 units being delivered. The all-electric version of the i3 now represents 72% of deliveries, so one can consider the i3 as part of the fully electric (BEV) team. Looking at individual countries, despite a weak result in Norway of 377 deliveries (down 24%), in Germany (311 deliveries) the i3 presented a solid result, while Switzerland (232 deliveries) had a sales peak. Looking into 2018, expect deliveries to remain stable in the coming months. 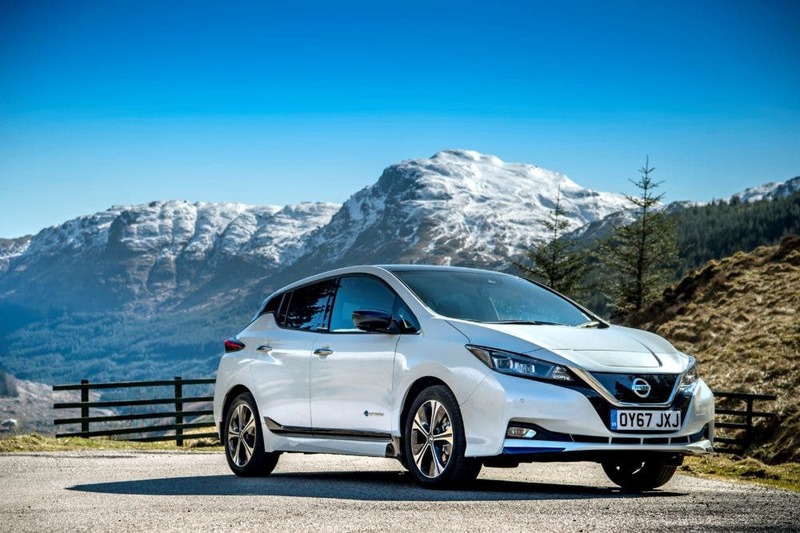 #3 Nissan LEAF — The 2.0 version of the most popular plug-in in the world has made its European debut in February and the first signs are that it is destined for success. The #3 position is despite the fact that the new LEAF is still not available across the continent, and in most markets, the stock is made of demonstration units. By registering 1,540 units in February, the Nissan hatchback had its best landing month ever in this market. 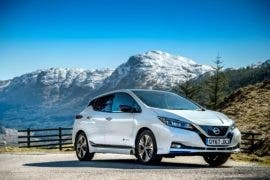 With orders coming in at around 4,000 units/month, expect the LEAF to break all records in March, with the headline being 2,000+(!) deliveries in Norway. But back to February, the main markets were Norway (781 deliveries), France (306), Netherlands (150), and the UK (120) — probably the only markets where units were actually delivered in volume to customers. #4 Volkswagen e-Golf — Remember the time when saying “e-Golf” was synonymous with “Norway?” Not anymore. 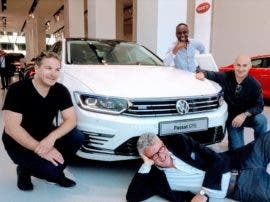 Despite Norway still being the largest market (472 units), the German BEV had 465 deliveries at home, while Austria (191) and the Netherlands (141) also posted three-digit performances. All in all, the 1,481 units registered in February were more spread out than a year ago, benefits of a more favorable context and demand than Volkswagen was expecting. 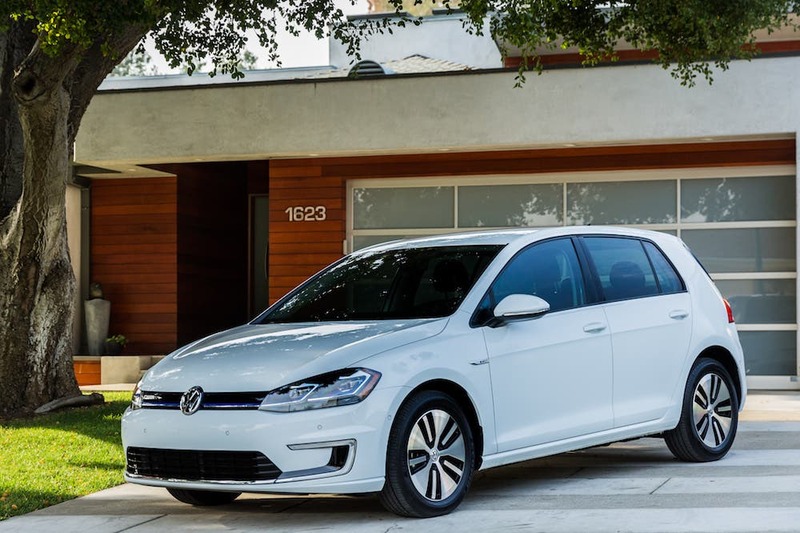 That unexpected demand has led to long lead times for the e-Golf, something the automaker promised to cut significantly this year via increased production. #5 VW Passat GTE — After a neck-and-neck race with the Mitsubishi Outlander PHEV, the German midsize plug-in hybrid crossed the finish line in 5th, thanks to 1,065 registrations. The Volkswagen model continued to be popular in Scandinavia (310 units in Sweden, 132 in Norway) and at home (259 deliveries). The surprise came from France, with 131 units registered there. This is a nameplate that is popular among company car fleets — due to its mix of space, decent electric range, and relative affordability — but in the long run, one wonders how much damage new models, like the announced 2nd generation Volvo V60 PHEV, might do to it. Looking elsewhere, besides the 13 position jump of the #6 Nissan LEAF, thanks to arrival of the facelifted version, February brought a couple of other newsworthy facts, with the most important being the Tesla Model S joining the top 20 … at #20. The 600 deliveries of last month compensated for a dismal January, when only 432 units were delivered. Its Model X sibling is even worse, languishing below the top 20 with just 557 units having been delivered this year. Outside the top 20, the Smart Forfour ED had its best month yet (360 units), while Volvo is slowly increasing output of its S90/V90 PHEV twins, having reached 538 units in February and rising to 930 registrations in the first two months of the year. A top 20 presence soon? Looking at the manufacturer ranking, there are some interesting duels. Last year’s winner BMW (17%) is in the lead, but Volkswagen (16%, up 1 percentage point) is getting dangerously close. Volvo is re-living its glory days, reaching the medals for the first time since 2013. It surpassed Renault for the last place on the podium, if by only 48 units. Outside the medal races, Mercedes is 5th, with 6% EV market share, but it already has Nissan (5%) in its rearview mirror, just waiting for the next corner (March) to overcome it and play catch-up with the medal bearers.